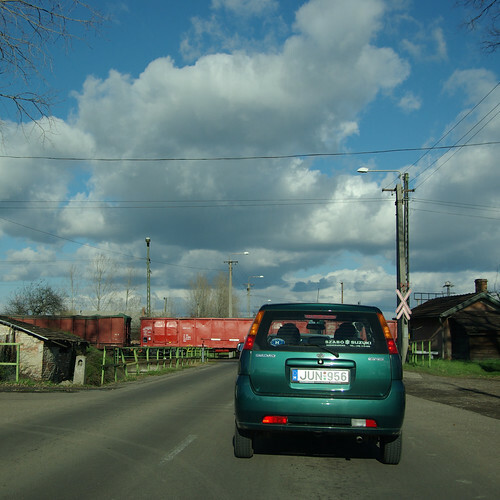 Rail Crossing in Hungary, a photo by Petirrojo on Flickr. Did you know that there was a Flickr group for “Railroad Crossings of the World”? Nope, neither did I until the moderator asked me to share this photo. I shot it as I was driving through northeastern Hungary, on my way to Slovakia to visit the little town where my grandmother was born.